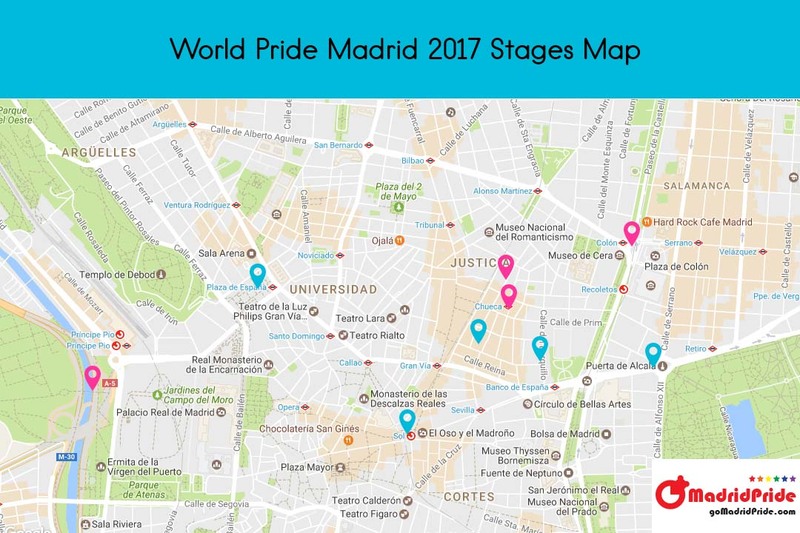 Madrid hosts the World Pride 2017 from Friday 23rd June to Sunday 2nd July 2017. During this 10 days festival, 3 millions of people will celebrate freedoms and rights of the LGBT (lesbian, gay, transsexual and bisexual) culture. The countdown has started since The KING & The QUEEN offical support in March 2017. Institutional opening in the World Pride 2017 at the “Matadero” of Madrid. The Matadero is a new 2017 “venue” to the Madrid Gay Pride. The Matadero is of a former slaughterhouse and market complex from the early 20th century, converted into a cultural venue since 2005. The place is huge, composed of old buildings and large open air areas. It has a stunning architecture and is definitely worth a visit. Located 2 km South of Atocha train Station, 4 km from Chueca, next to “Madrid Rio”. The neighborhood is quite far from city center & known gay areas. 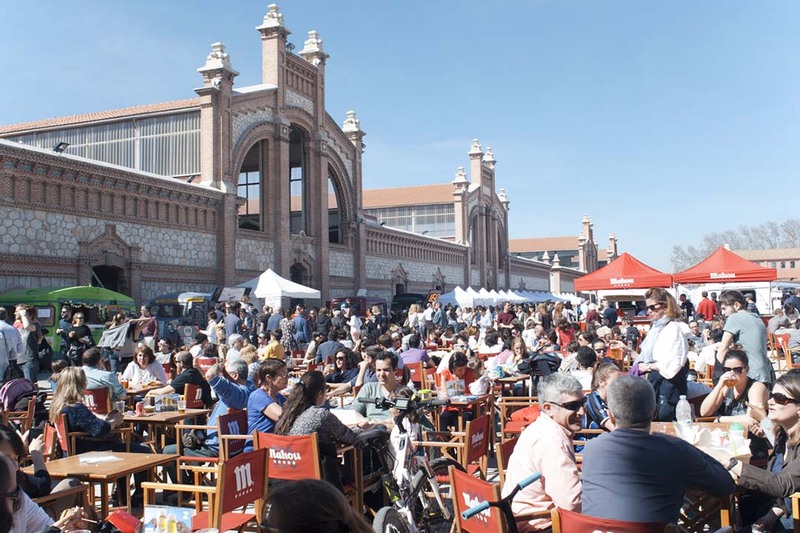 Matadero is know by Madrid’s people for being a “terraza de verano”, a summer terrace to enjoy street art, music & drinks all the summer. … Don’t forget to check out goMadridPride City Guide for more PRACTICAL INFORMATION about Madrid. 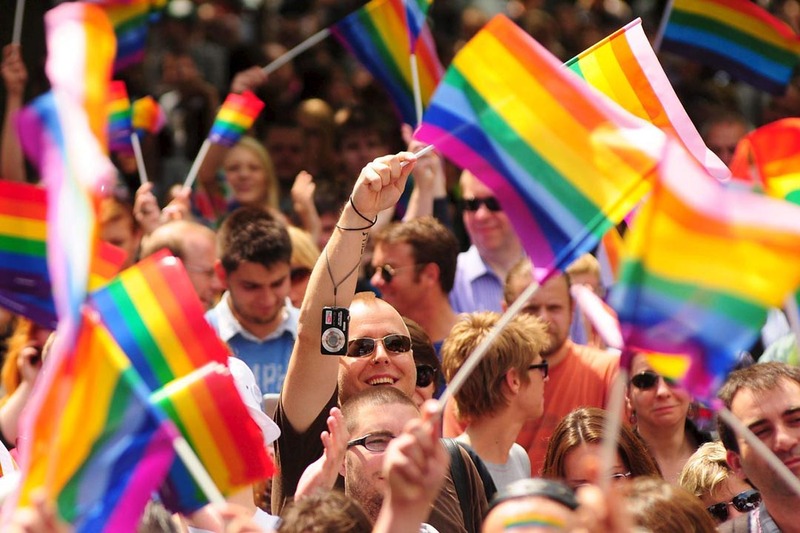 The World Pride Park is a LGBT community space open to everyone. 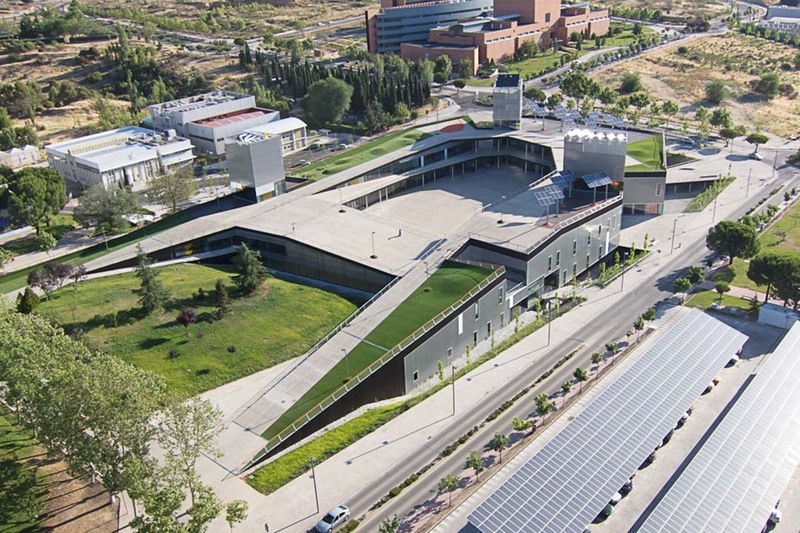 The location is designed to host vendors, LGBT and human rights worldwide associations. The theme is “A celebration of diversity for the whole family”: a whole program of activities will be announced for children, families, neighbors and visitors. 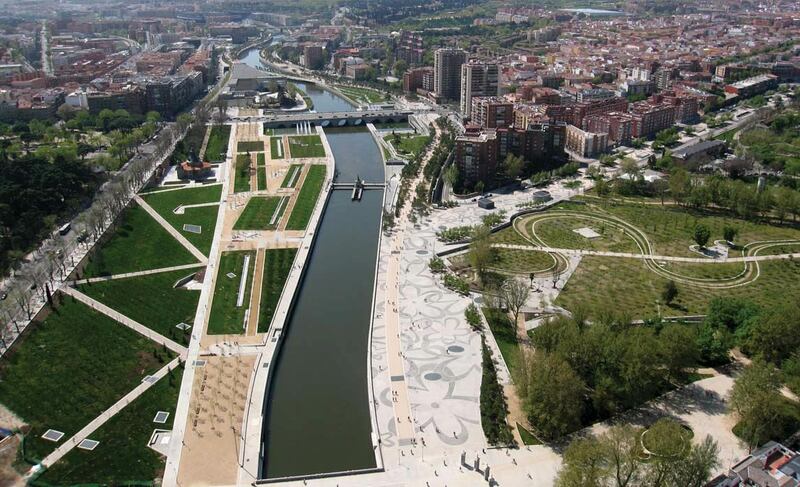 This temporary exhibition center is located in Madrid Rio again, at “Puente del Rey”. The World Pride Madrid 2017 Organizing Committee with the Harvey Milk Foundation and Autónoma University of Madrid present the “Madrid Summit 17”, an International Human Rights Conference to be held on the campus of Cantoblanco on 26, 27 and 28 June 2017. The contents of the Madrid Summit 17 are structured to contemplate every field related to day to day life for LGBTI people: Education (Bullying and Primary education), Health (Reproductive Rights, Sexuality education and Transgender), Culture (Refugees, Migrants, Religion, Art and Understanding), Workplace (Discrimination and Unions) and Politics (Laws and Rights) are areas which based on the respect for Human Rights will contribute to make social acceptance and equality a reality. All those topics are transversal to gender activism, gender equality, transsexuality and families diversity. Plaza de España, Puerta del Sol, Plaza Pedro Zerolo, Plaza del Rey y Puente del Rey (Madrid Rio Principe Pio). 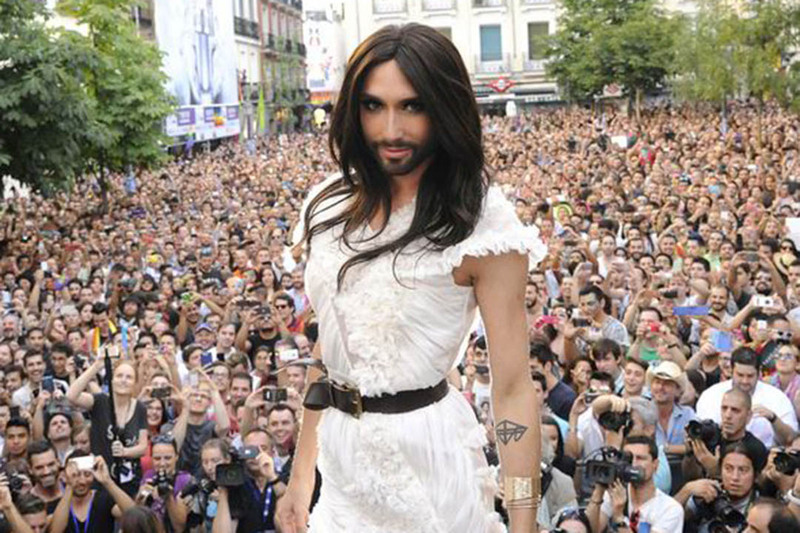 Some surprises will also take place in Plaza Chueca y Calle Pelayo. Important info !!! Some Streets of Chueca are under complete renovation and works WILL NOT be completed in time for the celebration of the World Pride, as it has begun in April 2017 and are supposed to last a year approximately. 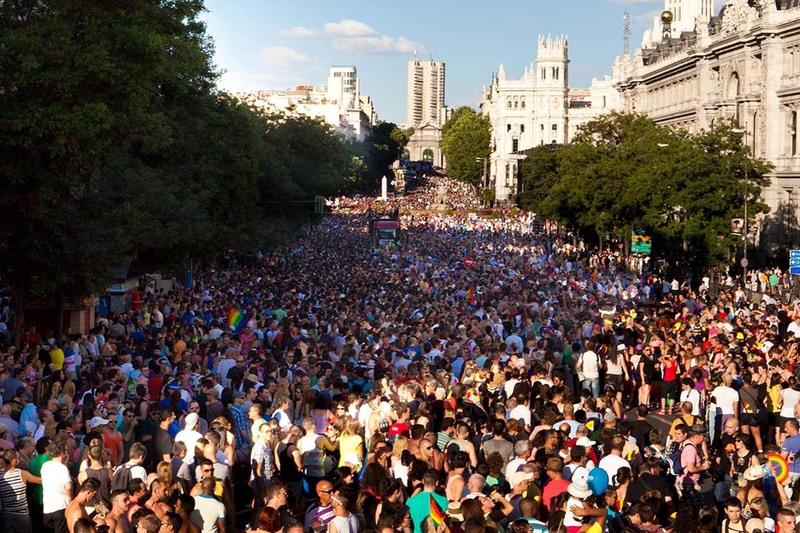 The Parade is a must, do not miss it: get ready to see amazing costumes, 30 floats with music and shows… Go to Madrid Center like Chueca afterwards, the party does really end at sunrise…. If you are more into clubbing, check our World Pride Madrid 2017 Clubbing Guide. FOLLOW US ON FACEBOOK for more updated World Pride 2017 info!